Though a little later than normal this month, we finally have the NPD US sales for September; though these only represent physical retail sales of new games, they provide an idea of what's performing well in the US market. The big release from Nintendo's perspective was, of course, Super Mario Maker on Wii U. Though it only claimed sixth place in the top 10, it should be noted that it's the only single format title to make the list, mixing it with a number of major multi-platform titles. The top 10 is below. 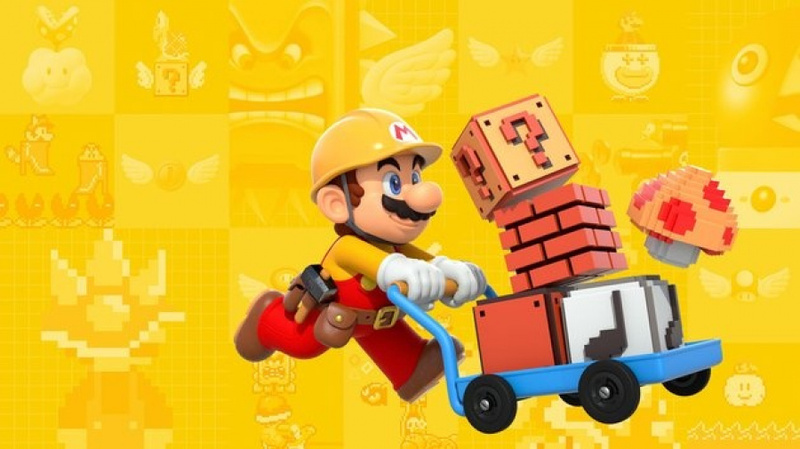 In terms of numbers Nintendo has announced that the level-creation tool shifted nearly 445,000 copies in its first three weeks, with lifetime sales as of 19th October now over half a million units (physical retail and downloads). The only other notable result for Wii U comes with Disney Infinity 3.0, for which the Nintendo system's version was the second best-selling iteration behind Xbox 360. It's not particularly surprising, meanwhile, that Animal Crossing: Happy Home Designer - released quite late in the month on 25th September - couldn't force its way into the top 10; it did sell nearly 115,000 units in its first week, though. Hardware and software sales were down on September 2014, though accessories (which includes amiibo) was an area that grew. NPD analyst Liam Callahan did pitch in to point out that, despite year-on-year dips, all current gen systems saw improved sales in comparison to August. The majority of hardware platforms increased their sales from August 2015 to September 2015 when comparing sales on a per week basis. All eighth generation consoles, [which includes PS4, Xbox One, and Wii U], experienced double-digit growth when comparing sales on a per-week basis. Nintendo has followed that up with confirmation of positive sales for its hardware. The Wii U actually had hardware sales that were 'nearly' a whopping 110% higher in September than they were in August, with that undoubtedly down to Super Mario Maker's impact. As for the 3DS, the statistic given by Nintendo is that the portable family has sold nearly 25% more systems in the first nine months of the year than in the equivalent period in 2014. All in all those are some positive results for Super Mario Maker, boosting Wii U system sales in the process. The October results will also be worth watching, with The Legend of Zelda: Tri Force Heroes among the major Nintendo releases on the way. If they could say 2014 sales, then how about mentioning the total sales of old 3DS games hm? Considering nearly half that list is from the yearly sports game mill, and Destiny... not bad. 3DS is still selling decent, being slightly up. I am surprised at how many Wii Us Mario Maker shifted. Here's hoping it sells super well during Christmas season. I wonder how well the Wii U and 3Ds will sell in October. It will be interesting to see how long Mario Maker's legs are in October, and the impact of the New 3DS + Animal Crossing Happy Home Designer launch will not be felt until this month, given how late the game launched in September. This is why I doubt the NX will come out next year. If the Wii U is starting to lift off, Nintendo would be foolish to stop it now. Wii U could see sales carry on or increase over September. Though there is very good chance it will go back down. 3DS will continue to sell a decent pace at the current price, though it would sell better at a more mainstream price of $120 or less. Yoshi Wooly World stands to do decent for October. 1) Did PS4 and Xbox One see sales decrease again for October like they have for the past few months? Wii U won't do that much better even if Nintendo does a sharp price cut and new marketing campaign. It's safe to assume Wii U comes to an end after the next E3. "This is why I doubt the NX will come out next year. If the Wii U is starting to lift off, Nintendo would be foolish to stop it now." Lol, what?? Of course a Mario title will move some hardware, when has it not? The Wii U is on death's doorstep. It's over. It's been over ever since this past E3. Nintendo has a serious problem going into the Holiday season with little more than Mario Tennis and Xenoblade. They will need to rely on older titles to get them through a time where they earn 50% of their annual income. The Wii U will get buried by Xbox and PlayStation this year. Even if it started flying off the shelves (and it won't), it's irrelevant. Why do you think their E3 was so terrible? They are starting to stack games for NX. Nintendo has accepted that they need to cut the Wii U short, and it's going to be sooner than you think. I'm surprised that it took so long to get Star Fox together. When Nintendo announced the Wii U, Star Fox was the first game I thought of. I guess it was the 'rendering two screens' issue. More like Star Fox has struggled to hit 1M world wide since Star Fox 64. Thus Nintendo put the bulk of their resources in making games that were actually going to sell with relative ease. Star Fox doesn't really sell as well as Star Fox fans think it does. Also their E3 wasn't that bad, it was just spread out over three events, when the announcements should have been just in the Digital Event. So does anyone here play Mad Max? I want to play that game as i was a big fan of the Fury Road movie, and i heard it was good: better than what the critics thought. Oh and congrats to Super Mario Maker and Metal Gear Solid 5. Those are two fine games from what i seen. MS will have October locked down with Halo 5. Plus this star fox looks like an HD star fox 64 but with some new features and storyline. Yeah, I get that and all, but Star Fox seemed to show a better use for the gamepad. Their whole marketing campaign, or lack there of, revolved around second screen gaming. Nintendo did very little with it, or nothing at all. Only very recently, has Nintendo actually showed decent uses for the gamepad. It was a little odd seeing Miyamoto show off Star Fox last year. Usually you see those kind of tech demos before the launch of a system. It's just odd, that's all. In regards to E3, it was that bad. Easily one of their worst showings in recent memory. 90% of it was old news, confirming the Wii U's death bed. The TreeHouse events were ok, but I honestly think the damage was too severe from the Digital Event that no one cared about what they showed. Well it couldn't be any worse than E3 2008. That was the most disappointing thing ever. I know I should know this, but...eighth generation? So what were the seven before? NES -> SNES -> N64 -> GCN -> Wii -> Wii U. Is the Atari in there too? Somebody help me out here, I'm missing a couple generations. Gen 1 was the Magnavox Odyssey. Gen 2 was the era that included the 2600, Colecovision and IntellIvision. Then the great crash of 83 that only a few of us can remember. If they put all the stuff they revealed from NWC and the smash direct into the Digital Event, the Digital Event would have been much better and better received. All Sony showed this E3 was games coming over the next few years with very little dated before E3 2016. We will be lucky if a few of the titles shown at Sony's E3 2015 conference make it out before the end of 2017. Microsoft conference was similar to the fact they showed very few games launching before next E3 other than Halo 5 and a few software features. All in all E3 2015 was very lackluster for game coming out before next E3. All I care about is what's coming out before the next E3, which is why I was fine with Nintendo's showing. It could have been much better but it is by far not the worst conference in E3 history. They probably will unveil a few games we didn't know about in the coming weeks. E3 is losing it's relevance globally as most publishers and developers skip it now (mainly due to costs and the lack of attention they get). You don't need E3 anymore to announce stuff. Hasn't everyone played minecraft at this point??? Not me and the other 6 billion humans who live else where in the world. Remember when people said this game will sell no consoles? Remember even before that when people said Splatoon would sell no consoles? This Is why I don't trust all the anti-optimists on Nintendo sites. The top two games are sport games. There are four sport games in the top ten. The gaming industry is doomed. All in all, some pretty positive results for Nintendo. Hopefully the momentum will hold up during the holiday season. Stop crying about F-Zero/Star Fox/Pikmin/ if you don't buy the damn things. Games like Animal Crossing, Fire Emblem and Splatoon show that the audience is there for new stuff - so what's the excuse for the lackluster sales of Bayonetta? Wonderful 101? Chibi Robo? Here's my helpful hint for today. If you haven't already, go and preorder Xenoblade Chronicles X. You want Nintendo to invest in more franchises? Then do it. Now. You can't keep a good plumber down. Yeah yeah.... The wii u is not over and a new console will not come out to 2017 at the very least. 4 years is terrible for a console, seriously, just simply terrible. Plus, all these nx news type of things are just stupid rumors that are never true, why would a console come out so early? The wii u is seeling well and its games are also selling well, so there is no reason to release another successor, that's way too quick. I prefer consoles to last a while, because consoles are supposed to have a good life span, so I think a new console should release in 2017 or 2018. Nintendo is losing no money with the wii u for that matter and actually gaining a lot of money, mark my words, a successor will much later. So true, people forget that games that don't sell tend not to get made very often if at all. I know its the in thing to talk smack about the wiiu but given the power of its games in the charts when up against multiplats shows the strength of the system. I know I've had more fun with my WiiU than I have in at least two gens. @MoonKnight7 Xbox and PlayStation are gonna bury the Wii U this year? With what? The only new game either platform's coming out with this holiday is Halo 5. The rest is re-hashed, turd-party nonsense. In NA, we'll be getting Fatal Frame, Rodea the Sky Soldier, Xenoblade X and Devil's Third. I, for one, am grateful Nintendo's pushing back their IPs for next year. I wouldn't be able to afford it all. @HyrulianOfHyrule the wii u is basically a hd n64. And nothing is wrong with that. Smash and kart are both hd n64 games too. This is great news. It helped that SMM really took on with streamers. It Is still going strong too. People want to watch others take on notorious courses. This is why Nintendo eventually needs DLC to re-invigorate the community while also re-temping those who have yet to purchase. I sold my Wii U 3 months ago and I don't regret it one bit. I loved me Wii U alot but the lack of games for me is a giant letdown I bought the Xbone because of the exclusives and the thirdparty games will keep me occupied until they arrive. I have to say that I have changed in the past 3 years. I rather play the more story driven games, and sadly the Wii U is not the best console for that at all. I look forward to the NX though... But I loooooove good news about Nintendo. @Xenocity there is a chance that it could turn out different to your theory... I think that the Wii U will take off from now and become the console that everybody wants. It is taking people a little longer than usual to realise what the Wii U is. 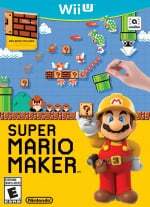 Once people see that they can't get Mario maker for the Wii.... Well what do you think will happen? Really thought it would break 100k this month. 2D Mario is always amongst the best sellers, and it's outsold Smash Bros on every machine they've been on. The only bigger gun they have is MK. @Peach64 How much did the PS4 sell in September last year? I know hardware is naturally down this year since last year had Destiny as a new release. Gotta be damn near half a million last year if not more. Super Mario Maker result is great, the Wii U bump, not so much but an increase is increase. @IceClimbers PlayStation 4 sold a shy over 550,000 this time last September, which means sales are down 36% from last year. Destiny was - and still is - the biggest new IP release (in terms of sales and profit), ever. Next month will be VERY interesting though; a $50 price cut for the PS4 versus Halo 5. Whoever 'wins' will eek out by a couple of thousands, if that. The gap remains at approximately 865,000 between the two. If Sony hold onto that by years end, or even manage to pass the one million mark, then Microsoft will have an incredibly tough time of it, especially with their biggest IP helping them out this holiday season. For SMM to be the only single format title in that top ten is hugely impressive, and proof that Nintendo has got what it takes to compete. If they get NX right, which they seem to be if the rumours are true, then Nintendo could once again compete at the top. @TheWarrior to put it bluntly for you, you are wrong. Console generation's only last about 5 years each. The only reason the ps3 and 360 lasted as long as they did was because they were power house systems for the time, 2005/6, out of date tech a year later, but then the world wide rescission hit, no one would be will to drop €4/5/600 on a new console in 2010, so they held off till 2012/13 when a lot of people started to come out of recession (1st world people I'm talking here), could start to afford to buy things again. So that's when the ps4 and xbone dropped, very late, and very weak compared to pc at the time, and now 2 years later both these ststems are extremely out of date so MS and Sony make profit on each sale now. The WiiU will be 4 years old next year, it's not selling since January 2013 (i got mine at launch), people don't want it and no bump in sales will change that. NX is coming in 2016, I'd say Oct/Nov. @schizor god, fair play on selling your WiiU, I couldn't do it even though I never turn it on anymore for WiiU games. But I have hacked it so I can play GameCube on it lol. Glad I have about 7 others systems hooked up to keep me going too haha. The only single platform title in the top ten. Impressive. The sales on Mario Maker are impressive, but the console sales don't impress me because I have a feeling that a lot of those sales were current owners buying the bundle to get the exclusive amiibo. There were scams happening where people would buy the console bundle, take the amiibo out and replace it with another generic Mario and return it. @Xenocity M! How are you, buddy? Not terrible, decent actually, but if Super Mario Maker can only claim the number six spot then basically nothing is going to sell the Wii U in any particularly meaningful numbers at this point, imo. I'm sure Zelda will do fine though, whenever that arrives. . . .
Nice to see the sales double. "Xbox and PlayStation are gonna bury the Wii U this year? With what? The only new game either platform's coming out with this holiday is Halo 5. The rest is re-hashed, turd-party nonsense." Oh stop it, don't give me that. Kind of narrow-minded call third party games "turd-party nonsense." Third party games are incredibly important, especially in the holidays. Just ask Nintendo how well the Wii U did once the third parties left. It's all they need to get them through the holiday season, there's at least a presence of Xbox and Playstation branding. "In NA, we'll be getting Fatal Frame, Rodea the Sky Soldier, Xenoblade X and Devil's Third. I, for one, am grateful Nintendo's pushing back their IPs for next year. I wouldn't be able to afford it all." That's hardly a good system selling lineup. It's ok, but none of those are going to move systems. Fatal Frame only has a digital presence except for EU's special edition, plus those games have never sold particularly well. Rodea has been in development hell for so long that I doubt anyone cares at this point. If I recall correctly, it didn't even chart when it released in Japan. Xenoblade is solid, but incredibly nitche, and Devil's Third... If you're going to use the word "turd," that would have been the appropriate place to put it. The only other games you didn't mention was Mario Tennis, and an Animal Crossing party game no one wants, but that's ok, it hardly makes a difference. It's going to be a very difficult quarter for the big N. I'm sure their marketing department is spinning in their chairs hoping for some kind of miracle. NBA 2K, Madden, Fifa, Disney Infinity something, NHL and Minecraft. Gamers everywhere – PLEASE TRY NEW GAMES. @MoonKnight7 I agree with you in the sense Nintendo needs third party support outside of Lego Deminsions, Dance Party, Skylanders and Guitar Hero, however... they have the 3DS. Zelda, Yokai Watch, even a Pokemon spin off, along with a few other things will allow Nintendo to have a SOLID holiday. Not a crazy good holiday, but a good one. "The wii u is seeling [selling] well and its games are also selling well, so there is no reason to release another successor, that's way too quick." I'm not sure where you've been, but the Wii U hasn't sold well since Dec. 2012. The only part that is true here is, yes, their game attachment is high. It is obviously because the only people who bought the system were Nintendo die-hards. "Nintendo is losing no money with the wii u for that matter and actually gaining a lot of money..."
Nintendo lost money for nearly 3 years because of the Wii U. They have only just started to turn things around, but it is hardly because the Wii U is selling well. It isn't. Nintendo has been very lucky that the yen to dollar conversion has worked to their advantage, and that the 3DS has performed adequately. amiibos and smartphone games are examples of Nintendo trying to expand to other area of the market to compensate for the Wii U's lackluster performance. It's kinda sad that amiibos are more of a headline than the console they are designed for. "...mark my words, a successor will [come] much later." Ok then, if you really think so, they are marked. I'd think on that a little harder though. Only exclusive in the top 10, makes it the best console when you think about it. Well sure, the 3DS lineup looks far better, but I was specifically talking about the Wii U/Xbox/Playstation home console comparison, and the fact that @kensredemption said "turd-party." Sure, they can't live up to Nintendo's quality, but discounting them like that when you have masses of people who buy them, is an incredibly narrow-minded viewpoint of the overall picture. Nintendo has to tap that audience again, because as we can see, without that crowd, there aren't enough Nintendo die-hards to keep the ship floating on the home console front. I would certainly love it if I could buy Assassin's Creed again on a Nintendo console. Weird how Super Mario Maker is the only single-platform exclusive to make it in the top ten. Also weird that they don't list which games are also available on PC. I guess PCs still don't count as console gaming systems. Good to see the dreamers out in force on this one. "Only exclusive in the top 10, makes it the best console when you think about it." ""The wii u is seeling well and its games are also selling well, so there is no reason to release another successor, that's way too quick." "The only new game either platform's coming out with this holiday is Halo 5. The rest is re-hashed, turd-party nonsense." "I think that the Wii U will take off from now and become the console that everybody wants." Thanks everyone, I needed a laugh today. "All I care about is what's coming out before the next E3, which is why I was fine with Nintendo's showing." That's perfectly fine if it satisfied your needs, but you are the exception here. Nintendo needed to pitch to us that the Wii U will have a lasting future, especially since the NX was mentioned prior, and they failed miserably, solidifying that the Wii U is heading to an early grave. Yes, Nintendo stated that they were going to focus on upcoming games, but the only foresight into 2016 was saying, Zelda is kinda, sorta coming at some point and the heavily delayed SMTxFE. Now Star Fox can join the ranks, much to their marketing department's holiday dismay. You can't honestly believe that Nintendo just all of a sudden thinks they should just, "focus on upcoming games." Funny how they suddenly think that's the way to go with the NX looming on the horizon. "It could have been much better but it is by far not the worst conference in E3 history." I don't know about you, but I certainly don't find it good at all that it is being compared next to E3 2008. "They probably will unveil a few games we didn't know about in the coming weeks." They are running out of time to re-convince me that the Wii U has a promising future. Even if that were true, and I doubt it, the damage is already done. E3 2015 was a complete disaster, and yes, I agree, I don't see E3 lasting much longer. What we left with was a lot of old news, and two spin-offs (Blastball & AC: aF) that no one wanted in the first place (I don't think many people remember much more than that honestly). No one would of had a problem with those games if Metroid and a real AC were in the works, but not the other way around. I feel bad for the developers involved, cause I'm sure the games will be fine, but Nintendo should have seen that kind of reaction a mile away. "It's going to be a very difficult quarter for the big N. I'm sure their marketing department is spinning in their chairs hoping for some kind of miracle." They clearly only have 1 marketing department for WiiU, 3DS and their toys, and you could make a strong argument there is only 1 person in that department. So I was just responding that they're going to do OK as a whole. This gen is similar to the gamecube's, where the handheld is going to make the profits while the console floats around breaking even. And although I totally agree I want to see more third parties back on Nintendo systems with NX so it sells better, as long as Nintendo is making enough profit each to keep making games and systems, I'll just have a PC for the other stuff I'm missing. "They clearly only have 1 marketing department for WiiU, 3DS and their toys, and you could make a strong argument there is only 1 person in that department." Lol, you honestly don't think that one person is working their entire marketing department, do you? Come on now. The comment you mentioned was still in line in regards to the Wii U, regardless of if the 3DS and Wii U campaigns are in one place. It's still their (or in your words, his/her) job to sell the Wii U. They (or in your words, he/she) have to rely on old games this time around, and they (or in your words, he/she) can only do so much with that. @MoonKnight7 the Wii U is profitable and has been since either right before, or right after the release of MK8. They also get a larger profit margin on their first party games. Amiibo has done well. Smash, MK8, Splatoon and now Mario Maker selling over a million. I'm not saying things are rosey, but at the same time, I don't think it's doom & gloom. "the Wii U is profitable and has been since either right before, or right after the release of MK8." It was after, and yes a profit, but barely. "Smash, MK8, Splatoon and now Mario Maker selling over a million." Well yeah, and those should be selling over a million. The exception being Splatoon with no prior history. "I'm not saying things are rosey, but at the same time, I don't think it's doom & gloom." You can't honestly believe that Nintendo investors are ok with that comment, do you? The Wii U was an absolute burden for 3 years, and it's clear the public doesn't want it. The Wii U hasn't paid off in the slightest. Despite the game attach rates, the Wii U is not in a healthy position, especially to the public eye. Doom and gloom? No, but cutting the cord on the Wii U? Yes. Lol, I know right. 'Dreamers' is putting it lightly. I am simply beating my head against the wall here. The sooner people accept that the Wii U is done, the quicker we can move on; and we really need to move on. @MoonKnight7 "You can't honestly believe that Nintendo investors are ok with that comment, do you? " Ehh, they clearly are. At this time in October last year, the share price was $12-$13. It is now $24. Astoundingly Double. That's literally an amazing thing, so those investors couldn't be happier actually. The fact is that the Wii U with hits like Splatoon and Mario Maker and the amiibo business is in a very good place right now money wise, whether you like to admit that or not. The rise in Nintendos share price has almost nothing to do with Wii U. It surged off the back of the announcements of the Dena deal and entry into mobile gaming (plus NX), then Q1 profits (greatly assisted by currency fluctuations), then Pokemon Go and the Niantic investment. To reiterate electrolite, the Wii U is the furthest thing from an investors mind. All the investors are thinking is, when will we finally put the Wii U out of its misery? Why do you think Nintendo suddenly embraced smartphone games? And what a shock, their stocks went up. Their stock rise has nothing to do with the Wii U. Investors think about the long term, and no one can be happy with a console that sells 3 million units a year. I don't know what you're talking about saying the Wii U is '"in a good place." Just because Mario Maker sells a million games? Well no kidding, it better. Amiibo is only selling because they are cool figurines, they certainly didn't improve the Wii U's fortunes, like Iwata was hoping. The only good thing about the Wii U is that it has a good game attach rate. It's obviously because only the Nintendo die-hards bought it. If I were an investor I would say that is a glaring issue. @MoonKnight7 (@electrolite77) you are just contradicting yourself. Either the investors, which I am one of them by the way, so I can speak for myself, are unhappy with the Wii U or they ignore it. They're certainly not unhappy because then the share price will reflect it. Of course the share price was influenced by the excellent mobile decision, but Nintendo has made all the right choices of the Wii U situation - the amiibo is an incredible success - and that's a Wii U accessory - and it managed to create success with both Splatoon and Mario Maker which and keep the console selling very well in Japan, relative to the competition. Of course it's not selling well in the west but it's not bleeding money - Nintendo did not profit from exchange rates, it stopped suffering from exchange rates that plagued it before, so yes, sometimes it helps sometimes it doesn't, but overall, it has been doing well, and the Wii U is currently part of the overall success. Unless you have considerable influence, I am not referring to you when I say "investors." Once again I fail to see how you can be so blind to the fact that the Wii U was and still is a complete burden on Nintendo's overall business, especially for long term prospects. The overall situation of the company is still shaky, but almost all of the reasons for it doing well lately have been for reasons beyond the scope of traditional video games. DeNA and mobile investments specifically. You are giving the Wii U way too much credit for the recent turn-around. If amiibo had released as just quality figures without the NFC chip, they still would have sold mountains of them. People don't want them for their irrelevant gameplay additions, they want them because when is the next time you'll get a R.O.B. figure? Some of those buyers don't even have a Wii U. amiibo to put it simply, is a band-aid attached to a console that was bleeding for nearly 3 years. amiibo didn't even achieve it's bottom line, which was to sell more Wii U's. It was Iwata's last real push to get the Wii U in more homes. It completely failed at it's primary goal. Now what we're left with is Nintendo sucking the well dry. I'll give you Splatoon, since there is no prior history, but as I said about Mario Maker; it better sell well. Nintendo would be in serious trouble if a Mario title wouldn't sell. The Wii U isn't selling it, the name "Mario" is. Splatoon is really the Wii U's only success story, as the rest are tent-pole titles that should sell well. This is a huge problem for Nintendo in the long term, as they have been way too reliant on old franchises to bail them out of trouble. Since you have invested yourself, I would pay attention to that very closely with the NX looming closer. Speaking of, why are they dumping the Wii U, possibly as early as next year, if everyone is as happy as you say? Great, so they stopped bleeding; it's about *amn time. That doesn't mean they're in great shape with the Wii U. You are also leaving out the fact that the Wii U did incredible damage to Nintendo's name. That's why next year will be all about the NX, and completely forgetting that the Wii U even existed. Except for amiibo, they'll keep pounding those out as long as they can. You are lumping everything together and giving the Wii U equal pull over Nintendo's recent stock success, when in fact it is the furthest thing from everyone else's mind.